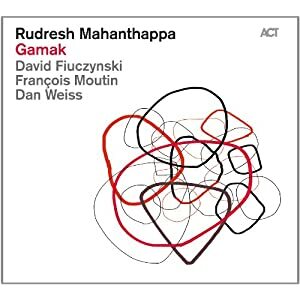 In "Gamak" (ACT Music), alto saxophonist and composer Rudresh Mahanthappa has added one more jewel to his discography. The interactions of the saxophonist with David Fiuczynski (electric guitar), Francois Moutin (acoustic bass) and Dan Weiss (drums) is wondrous, there is an elevated energy level (yes, even higher than his previous ACT CD, "Samdhi") and the results are exciting. From the opening clarion call of the saxophone atop the funky guitar on "Waiting Is Forbidden", one knows this is no ordinary music. Weiss's driving drums and Moutin's fluid bass lines underpin this project; another fascinating aspect of the music this ensemble creates is that it is really beyond category. Sure, there are Indian scales in several songs, the occasional hard-rock or funk attack from the rhythm section and plenty of Fiuczynski's fiery guitar lines, but this music never "settles" into one particular style. What it does do is kick quite hard much of the time. "We'll Make More" has a rapid-fire melody line, stopping for a short bass solo - yet, the quartet comes out that solo with even "fire" in its approach. Mahanthappa's alto lines flutter, soar, and slither over the rhythms. Even on the unaccompanied introduction to the one ballad on the disk, "Ballad for Troubled Times", one is impressed by his flurry of notes. The body of the piece is quite slow and his interaction with the guitarist blends long tones with soulful melodic lines. I enjoy the fine work of Moutin and Weiss, who play without cliches and continually take chances; the direction must come from the leader, he seems to relish the adventure and his frequent spars with Fiuczynski are exhilarating. Is this music for the casual listener? No way, but "Gamak" should appeal to lovers of adventurous music. For more information, go to www.rudreshm.com. After the group returns from Europe in early February, they'll play a series of dates in the US, including a visit to Sprague Hall on the campus of Yale University in New Haven, CT, on February 22. For ticket information, click here. After a series of highly-regarded CDs featuring his Quintet, trumpeter Jeremy Pelt returns to a more "electric" side of his music on "Water and Earth" (HighNote Records). This is seductive music in that it rarely wails but includes songs that feature long flowing melody lines, burbling Fender Rhodes lines and a rhythm section that often not only shimmers but can really drive. This program has several fiery moments, such as the skittering lines that open "Boom Bishop" and the fast-paced "Prior Convictions" - the latter track displays the massive groove of Dana Hawkins (drums) and Burniss Earl Travis (electric bass). The duo makes "Pieces of a Dream" a powerful cut, with their active lines and rhythmic zeal. Yet, one is also easily seduced by the handsome ballad work on Stanley Clarke's "Butterfly Dreams" and the all-acoustic "Meditations on a Conservation We Had". The Clarke composition, which dates back to the bassist's debut recording, has a diaphanous feel, Pelt's phrases moving in and out of the percussion washes. "Meditations.." has a soft melody played on trumpet and Roxy Coss on tenor saxophone and then the two wrap their solo lines around each other. Ms. Coss, who is a member of DIVA Jazz Orchestra, plays on 6 of the 9 tracks, alternating between tenor and soprano. Her tenor solo on "In Dreams" rises above the martial drums and the atmospheric Fender Rhodes lines of David Bryant while her lively soprano work on "Mystique" displays both grace and fire as well as the influence of Wayne Shorter Vocalist Ra-Re Valerde delivers a sensuous message on "Stay", her voice overdubbed and electronically altered, while Pelt's trumpet effects create an other-worldly feel. It's the one cut where the electronics feel forced. 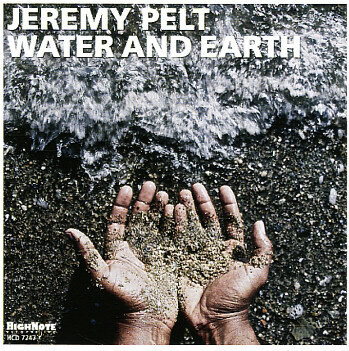 "Water and Earth" illustrates that Jeremy Pelt is a musician who not only does not worry about labels but transcends genres with ease. His writing continues to mature while his trumpet playing shines throughout. Don't be put off by the Rhodes and the occasional "effects, this recording is worth paying attention to. For more information, go to jeremypelt.net. 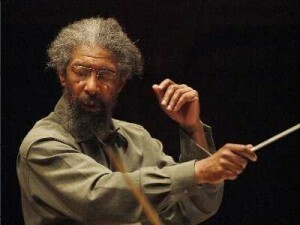 Composer-conductor-arranger-cornetist Lawrence "Butch" Morris passed away at the age of 65 (12 days before his 66th birthday.) I first heard of his work as a musician when he recorded with saxophonist David Murray's Octet on several Black Saint recordings and as the arranger of Murray's Big Band venture of DIY. He is, perhaps, best known for "conduction", his own creation of "conducted improvisation" (In his tribute to Morris in the New York Times, Ben Ratliff does an excellent job of defining the term - read it here while Mr. Morris explains his contribution to modern music at www.hallwalls.org/music/194.html. He did not release many recordings but New World Recordings did issue a 10-CD set of his "Conductions" in the 1990s (and it's still available.) He also did work with the Burnt Sugar ensemble. Like the late Bill Dixon and the very-much alive Muhal Richard Abrams as well as Anthony Braxton, Lawrence "Butch" Morris created music that built upon and extended the "tradition" - he will be missed and, one hopes, his contributions will live on. I would have happily sat through another 60 minutes of music (the evening consisted of 2 50-minute sets) but that (and the fact there was no program with the names of musicians) was the only blemish. Wynton was a gracious emcee and his solos showed his wonderful range and sense of humor. A conservative program? Perhaps, but one filled with spirit and swing (bassist Carlos Henriques and drummer Ali Jackson deserve much praise for their playing.) My thanks to Bill King for the invite and the pleasant company. Wynton's older brother (by a year) Branford is coming to Connecticut on February 7 to play at UCONN's Jorgenson Auditorium. The saxophonist (tenor and soprano) is bringing his top-notch Quartet, an ensemble that features Joey Calderazzo (piano), Eric Revis (bass) and Justin Faulkner (drums). This group also plays with great spirit but the music goes in directions that the LCJO usually eschews yet the band's ballad work is quite beautiful. The BMQ's 2012 CD, "4 MFs Playin' Tunes" (Marsalis Music), placed in numerous "Best-Of" lists and is the blueprint of the ensemble's live shows. For ticket information, go to jorgenson.uconn.edu or call 860-486-4226. Thanks to a good friend, I am going to The Bushnell in Hartford this Saturday (1/26) to see and hear the Lincoln Center Jazz Orchestra, the ensemble led by the inimitable and often controversial trumpeter/composer Wynton Marsalis. Now in its 25th year(! ), the LCJO has performed in venues around the world as well as taken the time to teach young people the joy of American jazz. Having heard the band on CD and watched them on DVD, I look forward to hear the likes of saxophonists Ted Nash, Victor Goines, Sherman Irby and Joe Temperley (the Baron of the baritone saxophone), trumpeters Kenny Rampton, Marcus Printup and Ryan Kisor, trombonists Elliot Mason and Chris Crenshaw, bassist Carlos Henriquez, pianist Dan Nimmer and drummer Ali Jackson (there are others but one can never be sure of the complete lineup due to prior commitments.) And, of course, Mr. Marsalis is there (I believe he is the 4th chair in the trumpet section) to introduce the program and smooth the audience's way into the music. Not sure just what the program will be but I am sure of this - the music will swing and swing hard! For ticket information, go to bushnell.org. Hold onto your hats, tie down your speakers, and secure the exits, the new CD from Mostly Other People Do The Killing, "Slippery Rock" (Hot Cup Records), has been released. MOPDTK has been in existence since 2003 and this is the quartet's 5 CD. Organized by bassist and composer Moppa Elliott, the band features Peter Evans (trumpets), Jon Irabagon (saxophones, flute) and Kevin Shea (drums, percussion). A glance at the liner notes, penned by the venerable Leonard Featherweight, and one is led to believe that "Slippery Rock" is dedicated to reliving the days of "smooth jazz" and its comfortable rhythms. The opening seconds of the opening cut, "Hearts Content", makes mincemeat of the liner notes. While there are some quiet moments and straight-ahead beats, this music goes directly for the jugular. Drummer Shea is the jazz version of Keith Moon, always pushing, moving forward, goosing the soloists while Elliot holds the bottom. As long-time listeners know, the band has a wicked sense of humor - during the solo section on the first track, Irabagon and Evans play the opening strains of "Dueling Banjos (best known from its inclusion in the 1972 movie "Deliverance") before branching off into other places. The soulful opening chorus of "Can't Tell Shipp From Shinola" is quite musical before Shea pushes it into more "outre" territory. There's a touch of "dub music" in the beginning of "Dexter, Wayne, and Mobley" - Evans "smears", "buzzes" and moans while Irabagon plays the handsome melody line. Meanwhile "Yo, Ye, Yough" drives with an intensity that shakes the room. The trumpeter shows the influences of Lester Bowie and Freddie Hubbard as he blazes through his solo (great counterpoint from bassist Elliot) while the saxophonist blows hard and long over the rampaging Shea. Irabagon moves to sopranino sax and Evans to piccolo trumpet for "President Polk", a slower track but not what one might consider a traditional ballad. This has the feeling, at times, of the Charles Mingus Quartet with Eric Dolphy and Ted Curson, just a bit farther "out." The group's interactions on the closing track, "Is Granny Spry?" is mighty impressive - while Evans' solo runs wild, the rhythm section rocks and rolls beneath him. Then, as Irabagon "swings" and "wails" through his spot, the bassist and drummer kick it up even higher and harder. "Slippery Rock" is more fascinating music from a most interesting band. As a unit (as well as on their individual projects), they are fearless, fun, a bit maddening but never dull. Not for the typical Kenny G. fan, MOPDTK makes music that is alive and, well, thanks to the tireless Kevin Shea, absolutely kicking. For more information, go to www.hotcuprecords.com. 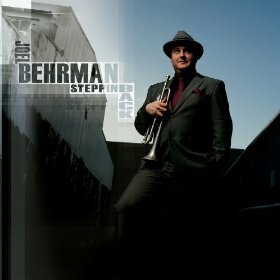 Every once in a while, it's a treat to hear mainstream jazz, especially when it's played with the joy and energy as trumpeter Joel Behrman displays on his new CD, "Steppin' Back" Killer Kat Productions). The Midwestern native studied at the University of Miami and toured with KC & The Sunshine Band before moving to the San Francisco Bay area. He's got a number of regular gigs (as both a trumpeter and trombonist) with ensembles such as the Marcus Shelby Jazz Orchestra, Lavay Smith & Her Red Hot Skillet Lickers and Lydia Pense & Cold Blood. The CD features Mr. Shelby (bass), Matt Clark (piano) and Howard Wiley (drums) with appearances by Dayna Stephens (tenor saxophone) and Danny Armstrong (trombone). 7 of the 11 pieces are Behrman originals with the centerpiece being the 3-part "Justice Suite" that hearkens back in style and execution to the music Max Roach made in the late 50s and early 60s. Others pieces display plenty of fire; "L.I.B." (Life is Beautiful") moves in quietly on an unaccompanied bass solo and builds throughout the theme section right into Dayna Stephens' powerful solo. Clark's spot over Wiley's hard-edged drumming stands out as does the leader's smart interjections. Among the 4 "cover" tunes is a lovely reading of the Duke Ellington/Johnny Hodges ballad, "Mood to be Wooed" - Behrman's crisp yet bluesy tones meshes well with Clark's fine chordal work. There's a snappy reading of Louis Armstrong's "The Faithful Hussar", a German folk tune Satchmo translated into Crescent City groove. Behrman and his troops use the Armstrong template to have a grand old tune. The leader and pianist Clark take the reins on a quartet reading of Joe Henderson's "Inner Urge", the pianist pushing Behrman to a fine solo. "Steppin' Back" has got class and fire, good material, smart arrangements and fine musicianship. Joel Berhman gives his band plenty of room to have their say and they reward him by playing their best. To fins out more, go to www.joelbehrman.com. Bass clarinetist and composer Todd Marcus, a resident of Baltimore, Maryland, has released his 2nd CD as a leader; "Inheritance" (Hipnotic Records) features 2 sparkling quartets plus the artistry of Don Byron (clarinet). 6 of the 10 tracks have George Colligan (piano) and Warren Wolf (drums) with bassist Eric Wheeler while the remaining 4 also have Wheeler and add Xavier Davis (piano) and Eric Kennedy (drums). Among the highlights is the 2-part "Herod", which pairs Marcus with Byron. Both play with great fire, rising over the Middle-Eastern inspired chords and rhythms. Davis's piano work is inspired and the rhythm section shines. Marcus switches to clarinet on "Herod (Reflections"), a reprise that appears after a funky reading of the standard "Bye Bye Blackbird". The tunes features a stunning solo from Colligan and smart drumming from Wolf. Byron also appears on the ballad "Solstice" , a piece that opens with Marcus's heartfelt solo and closes with the guest's finely wrought spot. There's more Middle-Eastern influence on the sprightly "Wahsouli" (Marcus's father is half-Egyptian); Kennedy's hearty drums blends well with Wheeler's melodic bass lines and the impressionistic piano chords. "Blues for Tahrir" adds the percussion of Jon Seligman to the mix. He supports the piano and clarinet as they wind around each other on the sinuous melody line. The piece purrs instead of roars, even when Colligan's solo raises the intensity level. Colligan shows a touch of McCoy Tyner in his chordal backing on the title track, a rollicking tune fueled by Wolf's energetic drum work. Todd Marcus, who is one of the arrangers and composers in Orrin Evans' Captain Black Big Band, leads his own nonet, trio and duo plus is a community activist. His work with the Baltimore non-profit Newborn Holistic Ministries helps women overcome homelessness plus he helped to create Jubilee Arts, a program established in 2008 to offer children and adults with alternatives to drugs and violence. His music has power as well as a positive message. "Inheritance" swings, rocks, sways and takes the listener on a pleasing journey. For more information, go to www.toddmarcusjazz.com. Bassist/composer Gregg August is, perhaps, best known for his work in tenor saxophonist J.D. Allen's Trio yet he has been the principal bassist for La Orquestra Cuitat de Barcelona and now holds the same chair for the Brooklyn Philharmonic. He's played and recorded with Latin artists such as Ray Barretto and Ray Vega as well as with Chick Corea and Renee Fleming. "Four By Six" (Iacuessa Records) is his 3rd CD as a leader; the recording features 4 tracks(all originals) of a sextet with Mr. Allen, Yosvanny Terry (alto saxophone), John Bailey (trumpet), Luis Perdomo (piano) and Rudy Royston (drums, his section mate in the Allen Trio) and 4 tracks (also all originals) by a quartet with Perdomo, Sam Newsome (soprano saxophone) and E.J. Strickland (drums). The program opens with 2 selections from the quartet, the energetic, Latin-influenced "Affirmation" whose driving rhythms and subtle tempo changes allows Newsome's soprano sax to soar while "For Calle Picota" has fine piano work and an exciting bass line. Strickland's drumming blends fiery Latin rhythms and his fascinating "melodic" work. August takes a short but hearty solo. The following 2 tracks introduce the sextet' August's arrangement on "For Max" has the horn and reeds deliver the melody (with fine counterpoint from the leader) and allows for a sparkling solo from Perdomo. "Bandolim" is next, with its snappy melody and boppish line. Royston's drums crackle in the opening then push, prod with plenty of sizzle from the cymbals underneath the fine solos. Newsome's handsome, sensual, soprano leads the way into "Strange Street" - it's fun to listen to Strickland and August not only supporting the solos but also adding colors and counterpoint throughout. Perdomo's solo is rich with fluid, dancing, lines. Royston and August lock in on the sextet's "Relative Obscurity", a piece that changes tempo several times but never loses its forward motion. Bailey (who has worked with August in the Ray Barretto ensemble) delivers a powerful solo, gleefully riding the waves of the rhythm section. "Four By Six" should be amended to read "Four By Six & Four By Four" but that's a minor issue. This music does not beat one over the head; instead, it has soul, wit, lyrical passages that stand out, and solos that have substance. Gregg August has given us music that has power plus subtlety in its rhythms and melodies; it's well worth your time. For more information, go to www.greggaugust.com. The 3rd and final installation of Harris Eisenstadt's insightful interview with Barry Altschul is now posted on destination-out.com. Read it, listen to the free tracks posted with the interview (classic work from Paul Bley, Chick Corea and Anthony Braxton) and have your musical appetite whetted for the drummer's new Trio CD with Joe Fonda and Jon Irabagon. Click on the link above and enjoy! On our return from Washington, D.C., I discovered that vocalist Bobbi Rogers had passed after a long illness at the age of 81. My exposure to the Durham, CT, resident was her work with the Chick Chichetti Orchestra (which, after the bandleader's passing in 2000 became The Hartford Jazz Orchestra) but she had had a substantial career before leaving "show business" to become a nurse. 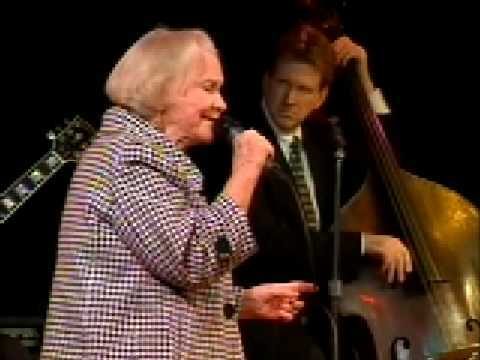 She only released a few Lps while her 2007 recording with the Ray Kennedy Trio is pretty hard to find. By the time I heard and saw her sing, Ms. Rogers had slowed considerably but her voice and classic delivery was still quite impressive. Nothing fancy or flighty, she caressed and coddled the lyrics, making sure the audience heard (and felt) each word. The arrangements Chichetti (and others) created for the Orchestra framed Ms. Rogers' voice nicely on each tune but never took a back seat. WFCR-FM Jazz radio personality Tom Reney wrote a wonderful appreciation/eulogy for Bobbi Rogers and you should read it - click here to do just that. Drummer Barry Altschul has slowly but surely returned to the spotlight over the past several years. Best known for his work in the 1960s with pianist Paul Bley before moving on to form the cooperative quartet Circle (with Chick Corea, Anthony Braxton and Dave Holland), work with multi-instrumentalist Sam Rivers and then formed Brahma (with Ray Anderson and Mark Helias), Altschul moved to Europe for the next several decades. In 2003, he reemerged as part of the F-A-B Trio (with Billy Bang and Joe Fonda), reunited with Mr. Rivers for his 80th Birthday celebration (in 2007) and also recorded with saxophonist Jon Irabagon. Drummer/composer Harris Eisenstadt has interviewed Mr. Altschul; parts 1 and 2 are now available on the fine blog destination-out.com. The postings also include music from various projects including 2 tracks from the drummer's upcoming TUN recording with Fonda and Irabagon. Check it out! On January 29, Thirsty Ear will release the new CD from pianist/composer Matthew Shipp. 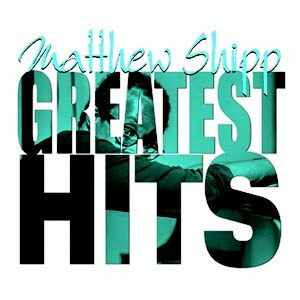 Dubbed "Greatest Hits", the recording collects 12 tracks from 11 CDs Mr. Shipp has recorded for the label since 2000. The pieces range from solo piano musings to Trio hits with Joe Morris or Michael Bisio and Whit Dickey to Quartets that feature trumpeters Roy Campbell or Wadada Leo Smith to Quintets enhanced by the synthesizer work of FLAM. Through it all, the creativity that Matt Shipp has displayed over his career (most 3 decades) comes shining through. He does not worry about fads or conventions, continually moving forward. The music bounces, dances, jabs, swings, flows, and, at times, slowly unwinds - there are moments in several of the trio pieces one can hear the influence of Duke Ellington in the spare piano chords and single-note runs. But, Mr. Shipp is truly an original and, while calling this collection his "Greatest Hits" may seem (to some) to slight his earlier works, this is some great music. For more information, go to www.matthewshipp.com. Based in Berlin, Germany, Canadian-born saxophonist Peter Van Huffel plays many different styles of music, from the sublime to the noisy. His Trio known as Gorilla Mask, featuring the leader on alto saxophone alongside Roland Fidezius (acoustic bass, noise) and Rudi Fischerlehner (drums and percussion), makes hard-edged music often built upon heavy drums, thumping bass lines and rapid-fire melodic fragments. The group's debut CD, appropriately titled "Howl" (Between the Lines), may put off listeners who have heard the earlier works of the saxophonist; yet this music follows a path similar to the fiery explorations of musicians such as Oliver Lake, Julius Hemphill and Tim Berne. The songs often seem to be on the edge of tumbling into total chaos but listen how Fischerlehner's tribal drums bring Van Huffel's scrambling sound back from the precipice on "Angry Monster." Fidezius's droning arco bass allows the drummer to range far and wide on "Fire Burning" while the saxophonist plays long, sustained, notes. "Dirty City" rocks quite hard with the bass and drums locked in; Van Huffel dances, squeals, and wails as the piece picks up in intensity. The Trio plays hot and heavy on "Monkey's Revenge" with the rhythm section creating a furious forward motion for the saxophonist to fly atop. 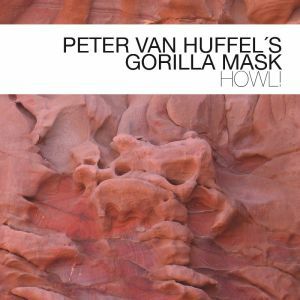 Though there are some quieter moments, "Howl" lives up to its name with Peter Van Huffel creating numerous soundscapes for Gorilla Mask to shred. Played loud, this music can overwhelm the listener - but the real power resides in the fine interactions of the musicians, the fusion of different styles and the go-for-broke attitude of the composer. For more information, go to www.petervanhuffel.com. It's been a year since I first became exposed to the music of Lorraine Feather. Her 2012 CD, "Tales of the Unusual" (Jazzed Media), knocked me off my chair with its melodic charm and variety, Ms. Feather's erudite and often humorous lyrics (as well as her fine voice), and the excellent music. So, I had to just go check out her catalogue and discovered this woman has no fear, tackling the music of Thomas "Fats" Waller, Duke Ellington, and others, her lyrics capturing the atmosphere of the times when the songs were created. 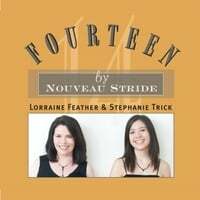 For this new CD, "Fourteen" (Relarion Records), Ms. Feather joins forces with the fine young pianist Stephanie Trick and dub their duo Nouveau Stride. They go back to the music of Waller, Ellington, James P. Johnson, Willie "The Lion" Smith and adds Ms. Feather pithy lyrics to their music and do the same to works by contemporary composers such as John Novacek, Robin Frost,and the late Artie Matthews. Ms. Trick created the music to "Vive Le Boogie Woogie", a bluesy romp that sounds a lot like the work of "Memphis Slim" (John Len Peter Chapman). These songs are happy, silly, pretty, classy and highly musical - the pianist is a wonderful technician yet, when she matches her talent with Ms. Feather witty lyrics, this program becomes irresistible. Whether it's taking "Mule Walk" (composed by Johnson) and creating lyrics that praise bats ("Bat Boogie") or Duke Ellington's "Dancers in Love" and telling the story of the perfect man ("Imaginary Guy"), this collaboration will make you smile. Nouveau Stride is too good to ignore. Don't get hung up on genre, just get into these grooves and intelligent lyrics and let them roll over you. If this music does not make you smile, even laugh, shake your head and snap your fingers, you may be more depressed than you realize. Find this CD and let down your defenses - have fun! Lorraine Feather and Stephanie Trick certainly are. For more information, go to nouveaustride.com. Myriad3 is a cooperative trio, Canadians all, composed of pianist Chris Donnelly, bassist Dan Fortin and drummer Ernesto Cervini. Their debut recording is titled "Tell" (ALMA Recordings) and features 10 originals plus a manic version of Duke Ellington's "C Jam Blues." That last track commences as a fairly straight-ahead, up-tempo, reading and then proceeds to change speeds every chorus or even sooner. In person, this must be fun and it's cool to hear the first few times through but gets a bit old after a while. Oddly enough, the next track, Cervini's 2-part "Disturbing Inspiration" has a similar affectation but works better as a ballad (both parts have handsome melodies). There is much to admire in this music. The band has quite an intuitive sense, working closely with other for the sake of the material. Cervini is an excellent drummer with a strong sense of color; Fortin's bass work is often the true rhythmic pulse of the music, allowing the drummer to interact with the pianist to move the songs forward. Donnelly also has a strong rhythmic drive as well as a playful sense (Cervini's "Fractured" rises and falls on the minimalist left hand of the piano while the pianist's "Mr. Awkward" is a blues with a twist) There's a mysterious feel to the classically inspired "Lament/PEX", another original from Donnelly, that right near the end, breaks into a sprightly romp that one could imagine the late Glenn Gould creating if he worked with an excellent rhythm section. There are moments when Myriad3 might remind you of The Bad Plus (especially the Trio's dynamic range and wonderful balance of melody and percussive drive); this is their first CD and one expects they will continue to explore how best to combine their different interests into a unique project. That writ, "Tell" is quite a lot of fun. For more information, go to www.myriad3.com/home/. On a recent Amtrak ride down to and back from Washington, D.C., I had the opportunity and joy to listen to "Museum Vol. 1" (self-released), the new CD from the Kevin Harris Project. For pianist/vocalist/composer/educator Harris, this is his 4th CD featuring the rhythm section of Kendall Eddy (acoustic bass) and Steve Langone (drums - Ct native Richie Barshay replaces Langone on 4 of the 8 tracks) and 2nd to feature tenor saxophonist Rick DiMuzio (although he only appears on 2 tracks.) Trumpeter Jason Palmer makes his debut as a member of the Project on this CD. 7 of the 8 tracks clock in at over 7 minutes yet this music never feels overdone or boring. Part of the credit for the strength of the program goes to the 2 drummers; Langone drives like mad on the funky "Pinched Nerve", shows great imagination on the McCoy Tyner-esque "The Nile", kicks heartily on "BBBB" and is inventive as well as quiet on the short, impressionistic, ballad "Bluegrass". That tune is one of 2 trio pieces, the other being the soulful reading of Bob Marley's "Redemption Song". Harris blends acoustic and electric piano. moves the piece away from a reggae rhythm, and makes sure one understands the lyric. Barshay's inventive drumming blends nicely with Eddy's solid bass work (he is a stalwart throughout.) Palmer and the rhythm section are featured in a quartet (no saxophone) reading of Wayne Shorter's "Prince of Darkness" (originally recorded on Miles Davis's "Sorcerer" Lp). The group captures the fluidity of composition without aping the Davis Quintet version. The 4 musicians also play a fascinating version of "You Are My Sunshine", which goes through a number of changes after Eddy's solo bass introduces the piece. Harris's unaccompanied piano solo (about 2/3rds of the way through the song) changes the feel and leads to a spirited finish (great drum work from Barshay and smart counterpoint from Eddy.) Langone is the co-composer (with Harris) on the multi-sectioned "The Dinosaur Suite" but cedes the drum chair to Barshay. Harris's strong chordal work combines with the powerful rhythm section to support Palmer as he rides atop their fine work. As on "...Sunshine", the piano solo changes the direction and intensity of the piece, introducing a new melody leading to a bass solo and a forceful finish. Giving an album the title of "Museum" might make one think that the music is dated or cliched. Instead, Kevin Harris and his compatriots challenge the listener at many turns, erasing any doubts that this music is dull. Everyone plays with great purpose and inventiveness making the music come alive with ideas, melody and rhythm. To find out more, go to www.kevinharrisproject.com. Saxophonist (baritone and alto) and educator Allan Chase (pictured left) joins trumpeter Stephen Haynes and guitarist Joe Morris for their monthly "Improvisations" performance this Thursday (January 10) at 7 p.m. in Real Art Ways, 56 Arbor Street in Hartford. Mr. Chase, who is Chair of the Ear Training Department at the Berklee School of Music in Boston, is in the midst of a long and varied career. A native of Willimantic, CT, he grew up in Phoenix, Arizona, and began music career (one of his first jazz gigs was with drummer Lewis Nash. He first taught at Berklee in the early 1980s, moving on to Tufts University and the New England Conservatory of Music before returning. He became a charter member of Your Neighborhood Saxophone Quartet, started his own groups (making 2 excellent CDs for Accurate Records, including "Dark Clouds with Silver Linings" from 1995) and appeared with a slew of fine musicians, including drummer Rashied Ali, composer-arranger Gunther Schuller, drummer Matt Wilson, and trumpeter John McNeil. He's a longtime member of pianist Steve Lantner's Quartet, a free-music ensemble that also features Joe Morris. The music begins at 7 p.m. For more information, call 860-232-1006 or go to www.realartways.org. Next month (Sunday, February 10), Messrs. Haynes and Morris welcome percussionist Tyshawn Sorey for what should be another fascinating set of "Improvisations." Go to www.facebook.com and search for "Improvisations" - it should take you here. Should you find yourself in New York City this Saturday night (1/12), I heartily recommend you head to Zinc Bar (82 West 3rd Street btw Sullivan/Thompson) to catch bassist/composer Alexis Cuadrado and his Quintet as they present "A Lorca Soundscape" at 9:15 p.m. This new work, described as "original jazz protest songs drawn from Lorca's poetry", features vocalist Claudia Acuna, pianist Dan Tepfer, saxophonist Yosvanny Terry and drummer Mark Ferber. The same group will be appearing on Sunday January 20 at 3 p.m. in the Westin New York (Times Square) as part of the Chamber Music America Conference. If you want to hear some of this music, check out this live recording of "A Lorca Soundscape" from WNYC-FM's "Soundcheck." This weekend's gig is part of the Winter Jazzfest, scheduled to take place this Friday and Saturday night in 6 separate venues throughout Greenwich Village. The lineup is amazing (over 70 groups), ranging from Monty Alexander and Don Byron playing separate sets in Le Poisson Rouge on Friday to Mr. Cuadrado's set followed by Omer Avital and His Band of the East in Zinc Bar on Saturday. Check it all out at www.winterjazzfest.com. As the New Year begins, The Buttonwood Tree celebrates its 24th Birthday. The brainchild of poet Susan Allison and her husband Stephan (an arts maven and believer in the power of art),The Buttonwood has played host to concerts from myriad musical styles, plays, poetry readings, belly dancing workshops, yoga workshops and other types of performance art as well as being a gallery for the visual arts and a bookstore. Plus, it's a gathering place, working with children in the summertime as well as having programs for adults. For old fogies, such as myself, it's a great place to hear live music. I have seen and heard numerous musicians from around the world playing (literally) in my living room. For several years after coming to Wesleyan, Professor Anthony Braxton would workshop material in the performance space. David Chevan and Warren Byrd utilized the space to kickstart the Afro-Semitic Experience and I've watched Noah Baerman grow as a performer and composer in that very room. So, I am so pleased to see the schedule in January includes a goodly number of jazz concerts. This Saturday (January 5), tenor saxophonist Russ Nolan (pictured above) brings his Organ Trio to The Buttonwood for an 8 p.m. show. Nolan just issued his third CD as a leader, "Tell Me" (Rhinoceruss Music), and will be bringing 2 of the musicians on the disk with him, organist Art Hirahara and drummer Brian Fishler. Inspired by his great love of salsa dancing, the recording has several Latin-influenced tunes (including a splendid version of Stevie Wonder's "Creepin') but, in his liner notes, Nolan writes "..this is anything but a dance record." Yet, it is hard to keep one's feet from tapping on a majority of tracks. There are also intelligent arrangements of Lennon-McCartney's "Nowhere Man" and Michael Jackson's "Man in the Mirror" (composed by Siedah Garrett and Glen Ballard.) Nolan's warm tenor sound, his enjoyment for playing and the excellent rhythm section will warm those who come see the Trio play. The following Friday (January 11), drummer/composer George Schuller (he of the ubiquitous chapeaux and constant smile) returns to Middletown with his Trio, this time composed of Frank Kimbrough (piano) and Matt Pavolka (bass). Mr. Schuller's list of accomplishments since he turned professionally 3 decades is mighty astounding, including gigs with saxophonist Joe Lovano, pianist Myra Melford, bassists Mario Pavone and Joe Fonda, guitarist Michael Musillami and a slew of others as well as producing numerous recordings and leading his own bands. He is a sensitive and adventurous composer and an accomplished percussionist. Frank Kimbrough leads his own Trio and is, honestly, one of my favorite musicians - he works with the Maria Schneider Orchestra, vocalist Kendra Shank, is an original member of the Jazz Composers Collective (having just celebrated its 20th anniversary) and teaches at the Juilliard School in New York City. Matt Pavolka is a busy musician, working with numerous ensembles (including his vocalist wife Akiko's band) and leading his own Horns band. All told, should be another fine evening of exploratory music - the music starts at 8 p.m. The very next night at 8 p.m., the Dan DeChellis Trio plays an evening of original music. Mr. DeChellis has just issued his 10th CD as a leader, "The Age of Anxiety", and will be bring bassist Mitch Shelley and drummer Zack Martin with him to Middletown to play those tunes and more. He's a fine improviser and composer, writing songs that, at times, have more structure and depth than one might expect from a Piano trio. The interplay of the musicians is very important, how they listen to each other, pushing, prodding and moving the music forward. To find out more, go to www.dandechellis.com. To find out more about The Buttonwood Tree, its complete January schedule and beyond, go to www.buttonwood.org.